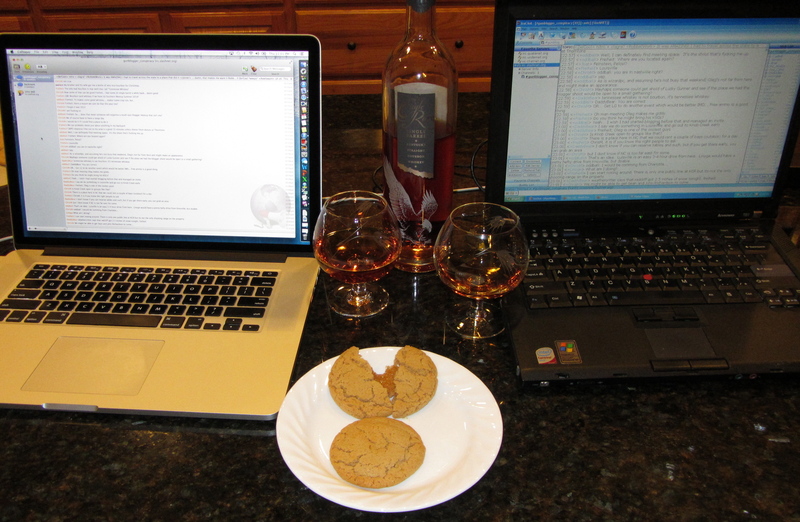 Now this is the way to spend an evening… Sitting at home with Thot, online in #gbc, and listening to the Squirrel Report, with a very fine Kentucky bourbon and home-made caramel-filled apple cider cookies, still warm from the oven! Good choice in bourbon! Eagle Rare is one of my favorites. That was my Christmas gift from my youngest brother and his wife. They took a trip to Kentucky for their anniversary and got in some shooting and bourbon tasting while they were down there. Thot and I both really enjoy it.